Are you happy with the appearance of your smile? If your smile feels lifeless and dull, or aesthetic issues dampen your confidence, then cosmetic dentistry may be right for you! We have a wide range of cosmetic dentistry services to fix almost any problem with the way your smile appears. Even more important, though, is your oral health. We find the balance between the healthiest mouth and the most beautiful smile. Whether it’s a brighter, whiter smile you want, or more even, more perfect pearly whites, our cosmetic dentistry services are exactly what you need. We can repair chipped or broken teeth, correct stained or discolored enamel, and eliminate unsightly gaps between your teeth with a simple tooth bonding procedure. 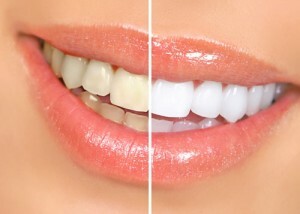 Also, our smile whitening services remove set in stains and deliver radiant results. No matter what part of your smile’s appearance makes you unhappy, cosmetic dentistry services can change it. Transform your smile and enhance your natural beauty with our cosmetic dental care. Ask us which services are right for you. Your teeth are exposed to staining agents every day. Red wine. Cola. Tea. Coffee. Smoking. All can stain your teeth and discolor your smile. Smile whitening can rejuvenate your smile and your spirit! If you’d like a brighter smile, Dr. Fortner offers Nite White. Nite White uses mouth trays that are custom-made just for you and prescription level whitening gel. You fill the trays with the gel, and then wear them over your teeth for 20 minutes per day. In a week, your teeth will be whiter. Ask us about smile whitening at your next visit. Cosmetic dental bonding can resolve all of these minor cosmetic dental problems easily, quickly and comfortably. Dr. Fortner offers dental bonding, a very simple cosmetic procedure that delivers amazing cosmetic results. First, Dr. Fortner will place a plastic material to the front of the tooth or teeth that are being improved. He will then apply a bonding material and sculpt it to the desired shape and size for a natural-looking result. A high-intensity light will then harden the bonding material. Finally, the surface of tooth is polished to a gleaming white and a beautiful result.